COSHH is the law that requires employers to control substances that are hazardous to health. If the packaging shows any of the hazard symbols then it is classed as a hazardous substance. 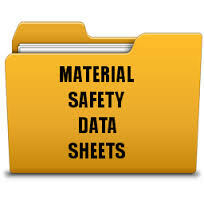 COSHH regulations stipulate that you must have a material safety data sheet for all hazardous chemicals used and stored at your premises.